In January a small group comprising amongst others, Pete Sims, initiator of the 38 Degree petition, Piers Telemacque, National Union of Students and Julie Hilling, MP, former youth worker and past President of CYWU is meeting with Tristram Hunt, Labour’s Shadow Education Secretary to discuss the need for a statutory funded, universal Youth Service. Of course there is the pressing question of much needed finance for youth work, but there is also the crucial issue of educational philosophy. What do we see as the purpose of education, formal and informal? For now I will merely post some extracts from a speech made by Hunt earlier this week and ask if we ought to be a touch concerned. “As our young people face growing rivalry for jobs, high-status apprenticeships and the best university places, it becomes more and more important for schools to coach pupils about character. 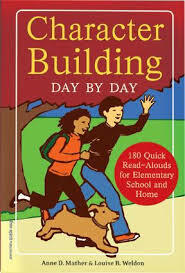 “Because we learn best from the knockbacks that we receive, that is the message that schools must send to pupils. Mr Hunt was speaking at a conference calling attention to the present government’s £5 million pound Character Innovation Fund, which, amongst other things, will allow former armed service personnel to run eight projects across England to develop self-confidence respect and leadership in disadvantaged young people. Those involved in youth work across the decades will be in raptures about the remarkable initiative being made by DEMOS, one of those robust and rigorous think-tanks we hear so much about. Its Chief executive Claudia Wood has announced that a number of pilot projects are investigating how extracurricular activities such as sport, social action and volunteering could transform pupils’ self-esteem and self-reliance. “People might call it grit, resilience or skills for the 21st century, but there is a growing consensus from all parties that character matters, and that policymakers can help develop it from childhood,” argues Ms Wood. Now far be it for me to suggest that the notion of character might be a contested concept. For now I’m off to read afresh a favourite book of mine, Baden-Powell’s ‘Scouting for Boys’, full of contradictions, full of humour. Our earnest researchers and populist politicians could have saved themselves a lot of time by buying the excellent new edition of this classic youth work text! Previous The cold, hard truth is that many of us cheat to meet targets, to achieve outcomes – teachers and youth workers alike? Character, resilience and the ability to bounce back; that’s what makes us HUMAN any young person who has attended a scout jamboree knows that virtues are not unique to one nation and it doesn’t matter if it was Halal or H arum when its burnt to the bottom of your billy. Good luck with Scouting for Boys the original Direct Action Manual for young people. Well put indeed, Tony! I half understand the wonderful phrase ‘burnt to the bottom of your billy’, remembering something about soaking the billy in salt and water if burnt. However has the phrase got a metaphorical meaning I’m missing? 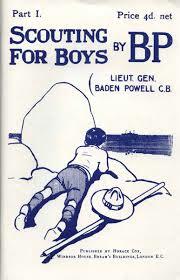 As for Scouting for Boys, despite my obvious lefty criticism of Baden-Powell, I’ve always found the book fascinating. What do you think of Elleke Boehmer’s introduction to the book? As I am at uni trying to complete 2500 words by Monday I can’t spend the time re reading the introduction at present, from what I remember it covered a lot of the ground Tim Jeal did. I am researching the tragedies of the scout uprisings in 1944 as a personal project at present, grim stuff, so will re read the intro over Christmas.